The APWG Crypto Currency Working Group (APWG CCWG) was formed by the Anti-Phishing Workng Group (antiphishing.org - apwg.org), a non-profit organization with over 2,200 member companies and agencies worldwide dedicated to fighting Internet phishing and fraud. Since 2004 the APWG has hosted electronic crime conferences around the world focused on bringing together security practitioners from e-commerce, payments, banking, security and law enforcement to solve and prevent crimes against online identity and financial accounts. 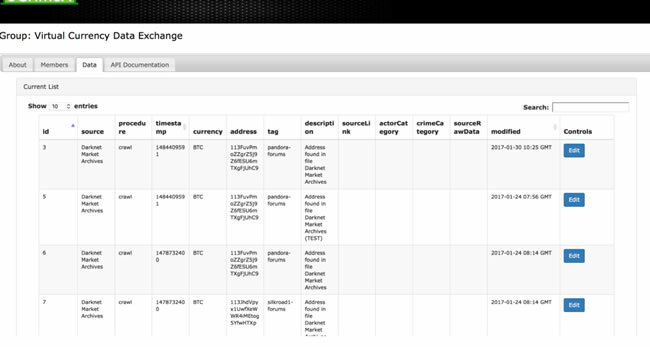 Membership in the APWG CCWG includes access to members-only private data exchanges on the eCX to ease collaborative forensic investigation against common criminal adversaries. There are also security and forensics sessions at the APWG eCrime conferences where cryptocurrency companies can collaborate with the security industry to better protect their customers and employees. For details on benefits and how to apply for membership see this page. Since October 2011 the Anti-Phishing Working Group and its member companies have been tracking phishing and malware attacks against Bitcoin and other cryptocurrencies. Since then, phishing for cryptocurrencies has reached an epidemic proportion. Hundreds of millions of dollars of cryptocurrencies are stolen on a regular basis through attacks against consumer investors, as well as targeted BEC-style attacks against the employees at cryptocurrency companies. In October 2011 at the APWG eCrime meeting, the correlation between bitcoin exchange hacks and the price of bitcoin was demonstrated. This was three years before the major Mt Gox hack of 2014. In 2012 at the APWG eCrime meeting in Puerto Rico the industry reviewed the major hacks in 2012 and the appreciation of the currency. 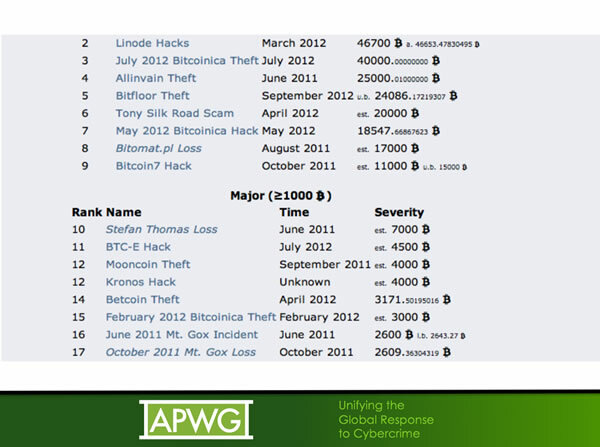 In 2014 the APWG profiled hundreds of Bitcoin exchanges and wallets and examined cybercrime attacks against them. 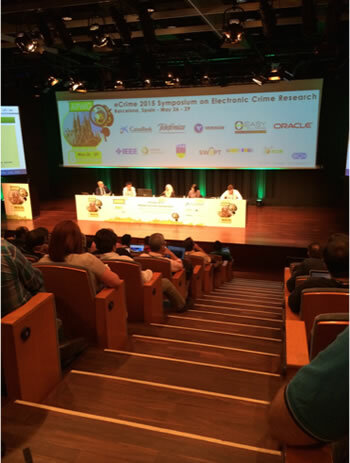 At the APWG eCrime Conference in 2015 in Barcelona Spain, cryptocurrency crimes were a major subject. 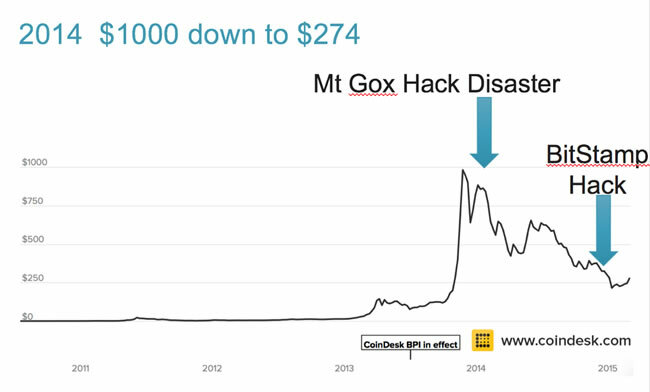 The effects of the Mt Gox and Bitstamp hacks were analyzed versus the amazing increase in Bitcoin price in the prior year. It was clear that security vulnerabilities and exchange hacks impact the price of cryptocurrencies directly and in a major way. 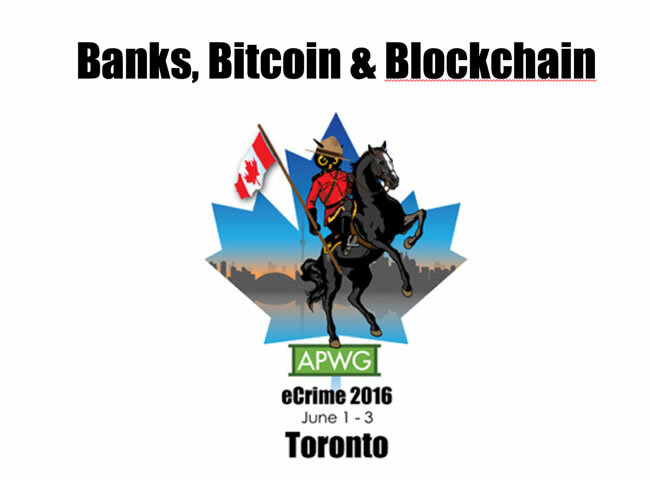 On June 2, 2016 at the APWG eCrime Conference in Toronto Canada, the group predicted the Ethereum DAO hack in the “Banks, Bitcoin & Blockchain” session. 10 days later the actual hack happened through an exploit of a recursive call bug. 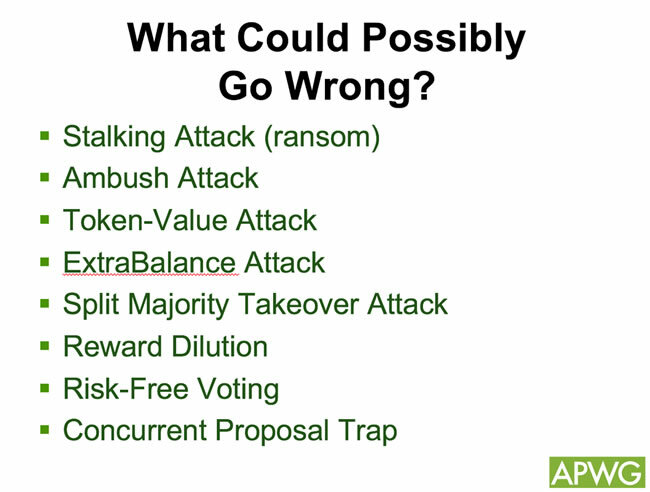 “What Could Go Possibly Go Wrong?” was the title of the presentation on DAO vulnerabilities and risks. It proved to be incredibly prescient. 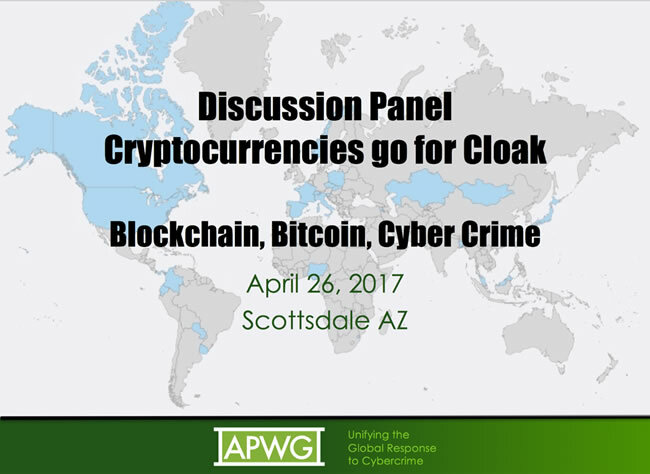 In April 2017, the APWG eCrime Conference in Scottsdale AZ brought together industry participants and global law enforcement together for a seminal panel on cryptocurrency crime, theft and phishing. And in 2017 the APWG launched the eCrime Exchange for dark market data exchange, paving the way for the cryptocurrency Anti-Phishing Working Group data exchange system. In 2018 the Anti-Phishing Working Group launched theAPWG Crypto Currency Working Group to help users of cryptocurrency exchanges, wallets, trading platforms and investment funds protect themselves and their customers against phishing and cybercrime.